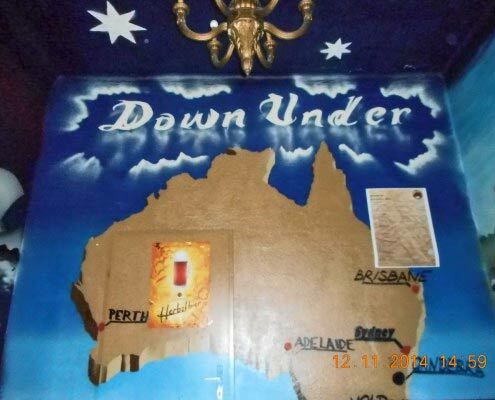 Down Under Aussie Pub is situated in a very nice area of Vienna’s 6th district and is close to public transport (U4 subway: Pilgramgasse and several buses 12A, 13A, 14A). The railway station (Westbahnhof) and the biggest shopping area (Mariahilferstrasse) are in walking distance (10 min.). For your entertainment we have regular Live-music, a dartboard and table soccer (Wuzzler). We show FIFA World Cup Matches on 2 Big Screens (with HD Beamers 3,5m width) and 2 Big TVs for a great Live-Sports-Experience. For matches with the Australian team we also open before 4 p.m. If weatherwise appropriate we show the World Cup matches also in our garden. Beside FIFA World Cup we also show Champions League, Europa League, German Bundesliga, Austrian Bundesliga, regularly Tennis, Ice Hockey, American Sports and more. Your weeknight after work local or a late night spot, Down Under Aussie Pub has it all, from 6pm til late every day – with daily Happy Hour, weekly Thursday Pub Quiz, Live Music and regular Big Screen sports events. Come Down Under for an authentic Australian Foster’s beer on tap or choose from a wide range of bottled and draught beers like Trumer Pils or Guinness, spirits, a wide range of whiskeys and a special variety of Australian and Austrian wines. 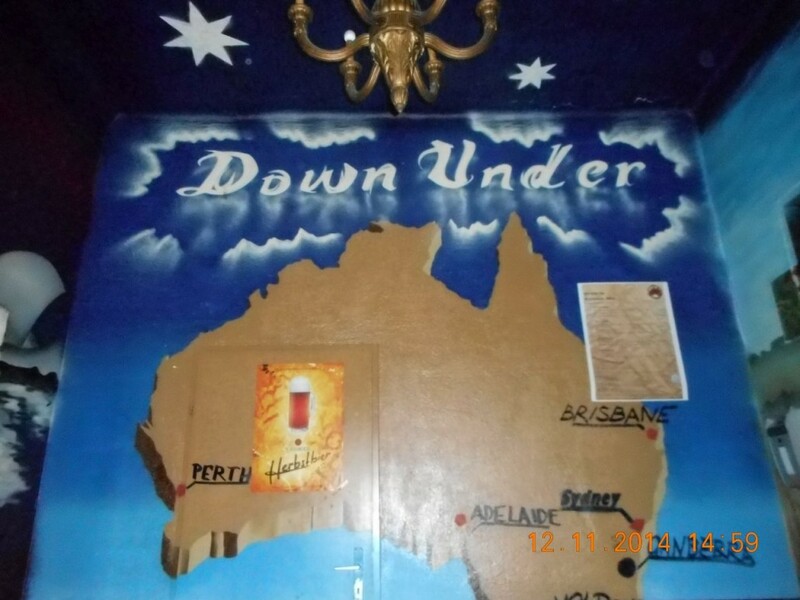 Whether you are up for a big one or a couple of quiet drinks with friends, you’re guaranteed a good time at Down Under! Ask about private hire of our lounge or cellar for your next big bash!